What Happens if you Skip Installing a Chimney Cap? Home inspectors always point out that “a chimney cap is a good idea, although it’s not required”. Like most people, I KNOW it’s important but it probably doesn’t seem like a huge deal when it comes to prioritizing what to spend money on. Especially if it’s a vacation home or part-time residence. Well, I recently learned first-hand why having a chimney cap really IS a good idea! I walked into a house recently and knew immediately that something was wrong when I saw the fireplace logs strewn in the middle of the living room. Vases and lamps were overturned and knocked off tables. 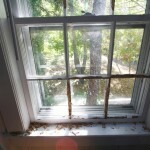 Then I noticed large piles of wood shavings on all the windowsills and on the floor under each window. 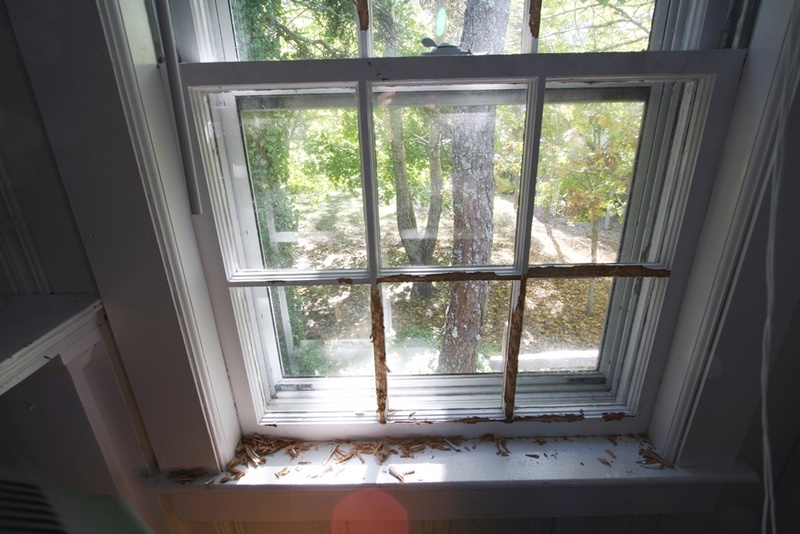 Upon closer examination, I found that the wooden sills of almost every window in the house had been chewed away. Some poor critter had fallen down the chimney and had been trying to chew its way out of the house. I called Animal Control and we went through the entire house looking for what did the damage. We never found it, but the Animal Control officer decided it was a squirrel and not a raccoon. And that it had somehow climbed back UP the fireplace and went out the way it came in. This creature had chewed nearly every window in every room of this house. The Owner now had to file an insurance claim to replace the windows at a cost of probably $500 per window. All of this could have been avoided by installing a chimney cap for $150. If your house doesn’t have a chimney cap, it is a matter of time before this happens to you. Don’t delay any longer!